I have just been going through my images to find something suitable as a Christmas card. 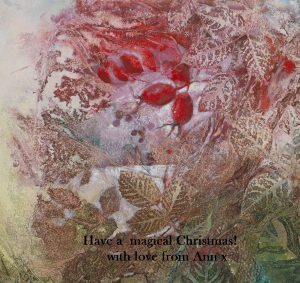 I thought that the reds and greens in this painting were rather festive ( although most of the rosehips have disappeared from the local hedges by now – so I’m using artistic license!) This detail is from a painting called ‘Through the rosehip hedge’ that is featured in my book ‘Watercolour Workshop’. 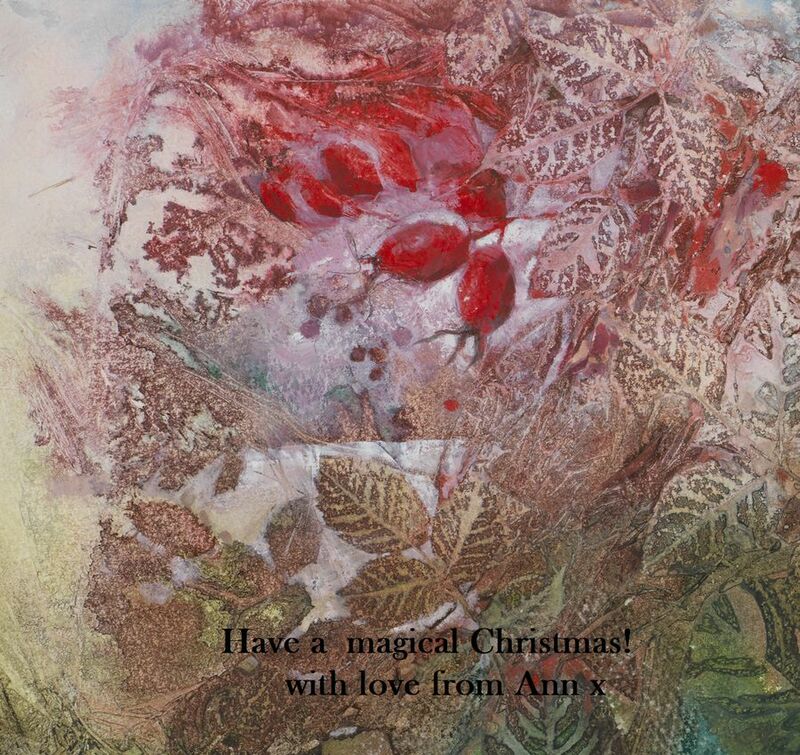 The background is a monoprint made from actual wild rose leaves. Then I painted into the patterns to create a focal point of rosehips.